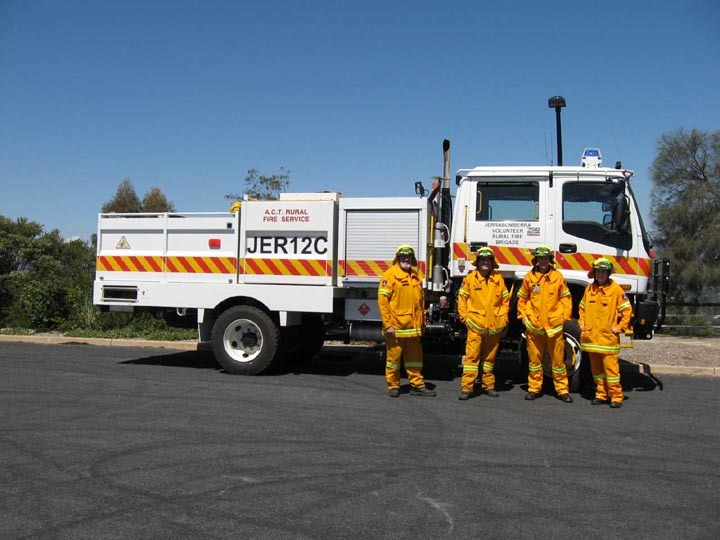 Thanks to the members of the Jerrabomberra Volunteer Rural Fire Brigade for all their work and for allowing me to take photos. This tanker is 1 of 3 Volunteer RFS - Compressed Air Foam System tankers. Added by Jamie on 28 November 2007.